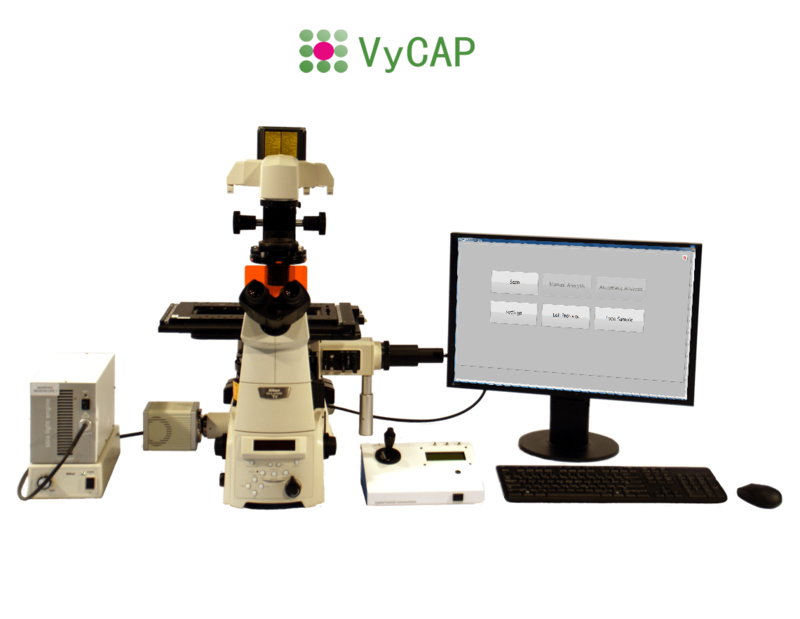 Automatically enumeration of Circulating Tumor Cells, fetal cells or other cells captured on the VyCAP microsieve, with the VyCAP imaging system. With this dedicated imaging system VyCAP slides with microsieves are automatically imaged and processed. Up to 8 microsieves can be loaded on the system at the same time. 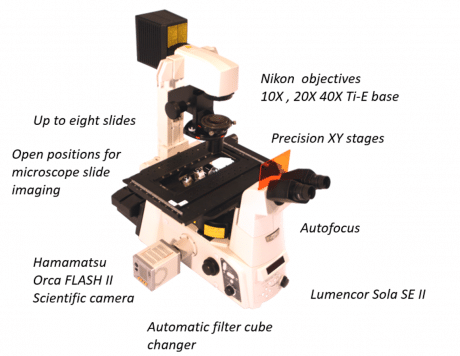 The tool is based on a Nikon Ti-2 inverted fluorescence microscope. 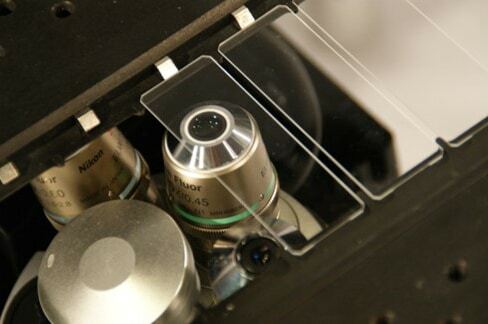 The imaging system can be upgraded to a Puncher system. Automatically enumerate CTC with the VyCAP Imaging system. 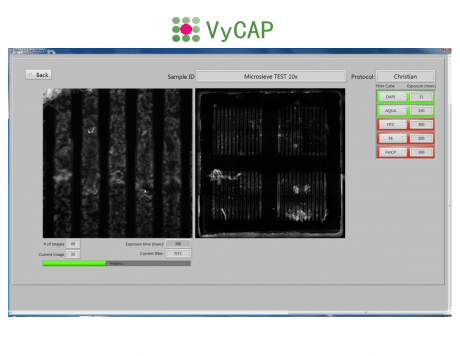 With this dedicated imaging system and software, slides with microsieves can be automatically imaged and processed. The imaging system contains high end scanning stages, a Lumencor LED excitation light source and a Hamamatsu CMOS scientific camera. 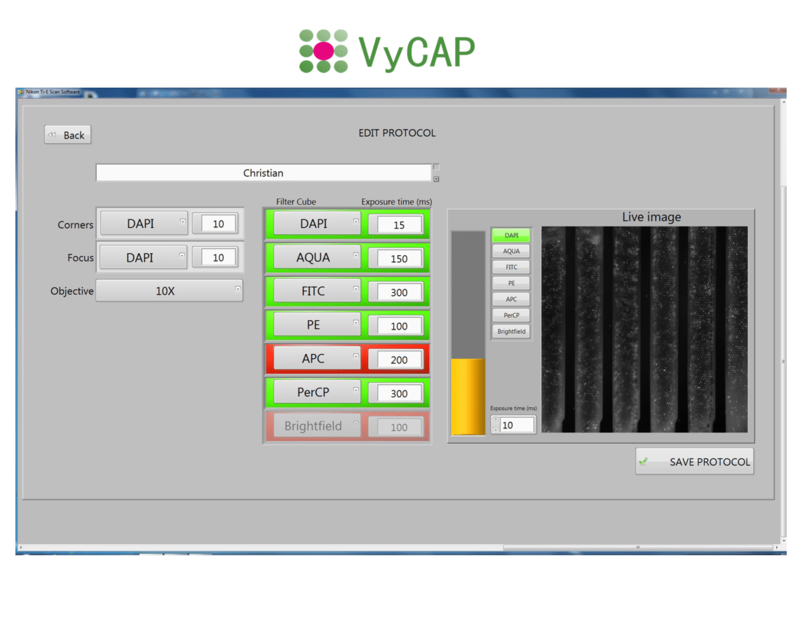 The stages are automatically controlled by the image acquisition software. Furthermore the system has auto focus and an automatic filter cube changer that can hold a maximum 6 different filter cubes. 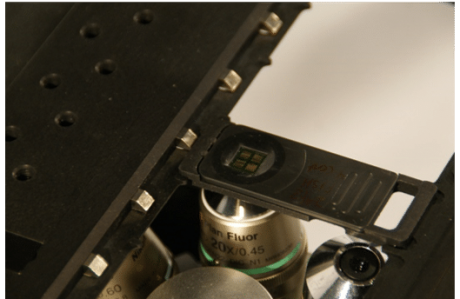 Up to eight slides can be loaded at once. The same microscope is used as the base in the Puncher system and the imaging system can be upgraded to a Puncher system at any time. Standard protocols for CTC counting based on the DNA+, CK+, CD16- and CD45- are available. 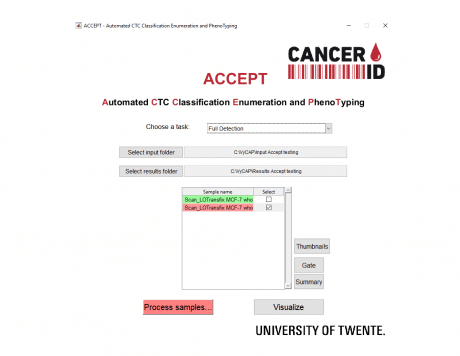 Protocol for other labels can be added ( for example PDL-1 or MUC-1). Scanning a microsieve in 4 fluorescence colors takes about 15 minutes. Dedicated VyCAP software for automatic cell identification and enumeration is available. 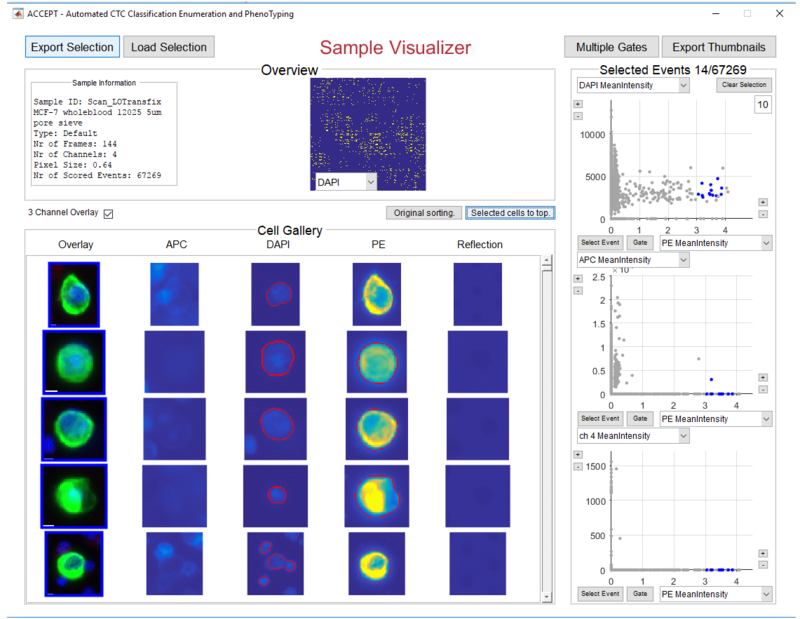 Images are displayed in an overview gallery. 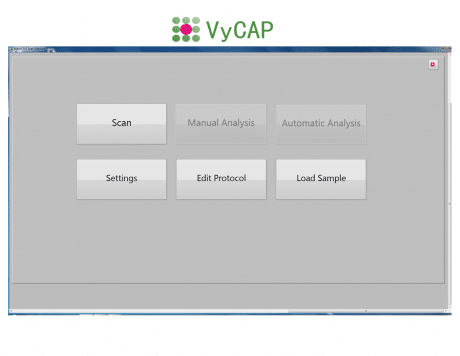 Alternatively open source software like ACCEPT or ICY can be used.